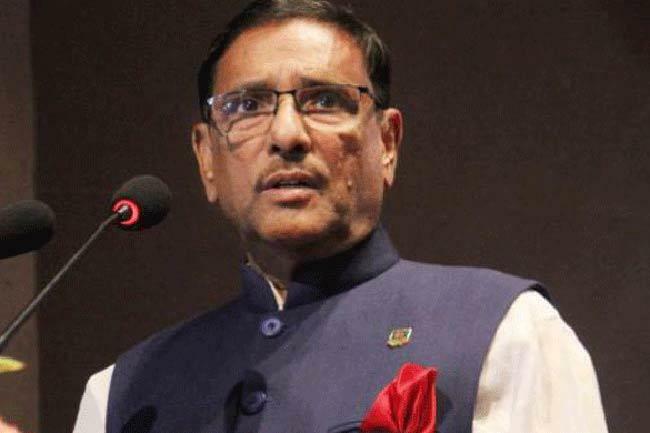 Awami League General Secretary Obaidul Quader on Sunday said the next general election will be held as per the constitution, no matter whether BNP joins it or not. “The election will get a complete shape if a big party like BNP participates in it. But there’ll be no shortage of participating parties. The election will be held as per the constitution whether BNP takes part in it or not,” he said. Quader was addressing a rally organised by Jubo League at Mahanagar Natya Mancha marking the Homecoming Day of Prime Minister Sheikh Hasina.